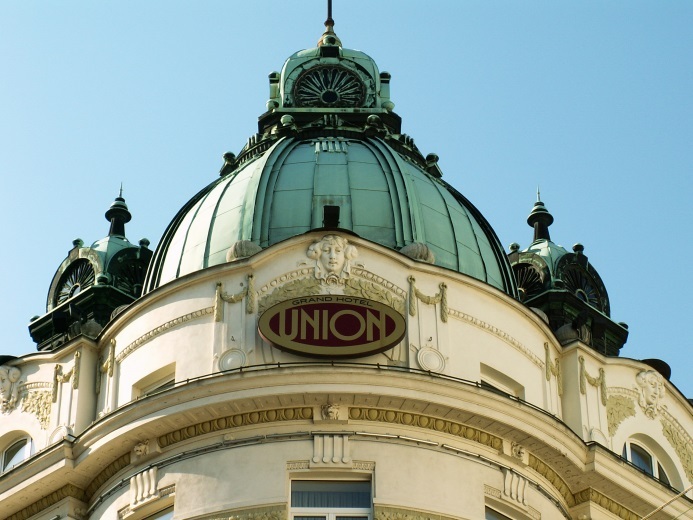 The Conference Dinner & Dance is held at the Grand Hotel Union in Ljubljana’s historic city centre. 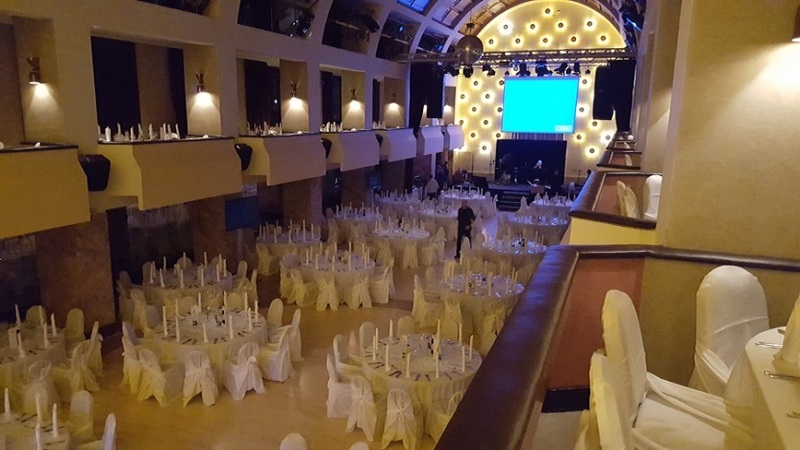 Entrance to the Dinner & Dance is from Nazorjeva ulica, the street on the left of the Hotel behind the main church (see first photo on the left). Build in Art Nouveau style, the Grand Hotel Union opened its doors in 1905. It was the first modern hotel in Ljubljana at the time, and the highest building. According to contemporary newspapers it was one of the largest and most modern hotels in south-eastern Europe. It contains 87 rooms, a modern restaurant, a Viennese style cafe, and a magnificent concert hall, where the Dinner & Dance is held. 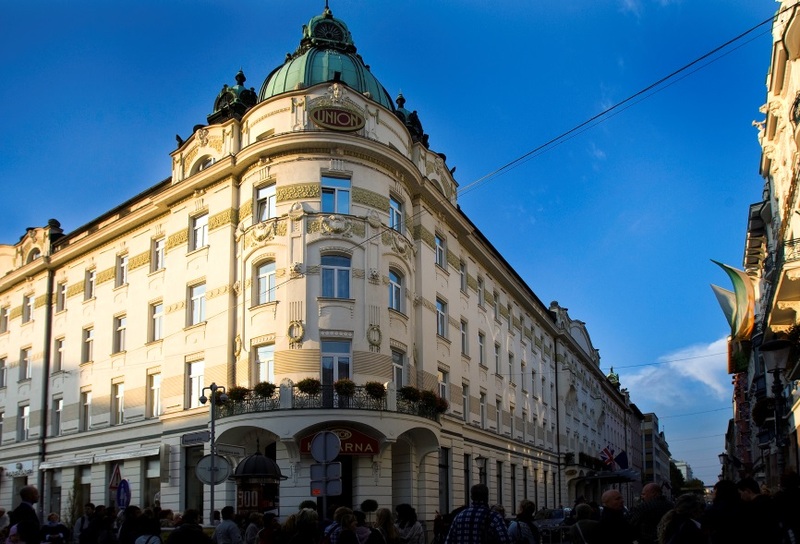 The hotel was designed by renowned architect Josip Vančas, well familiar with contemporary architectural developments in Vienna. He combined the three-story Secession building with ornamental elements and a rounded and domed corner tower, still the southern entrance to the building. In addition he created a richly ornamented interior, which has largely been preserved in its original form to the present day. The greatest pride of Grand Hotel Union is the Union Hall. In the past it was the place for concerts, dances, parties, but also rallies and lectures. In 1934, it was turned into at the time ‘the most modern city centre cinema in Ljubljana’. The hall came to shine again in all of its original grandeur in 2002.